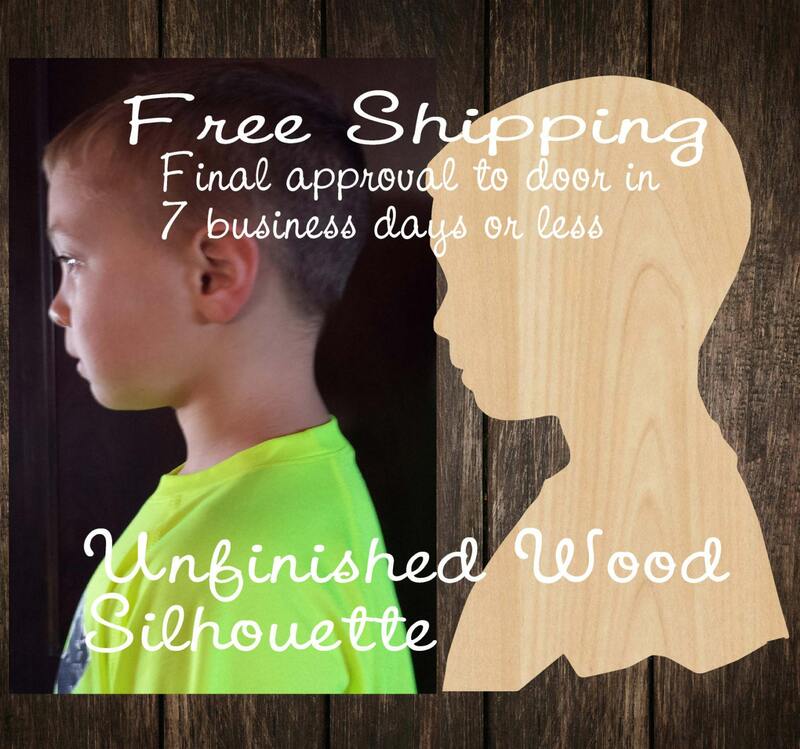 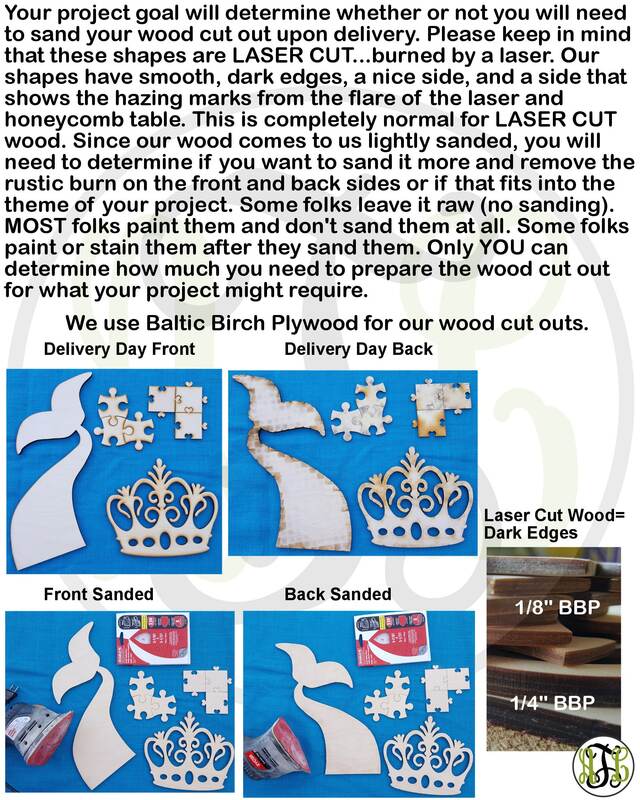 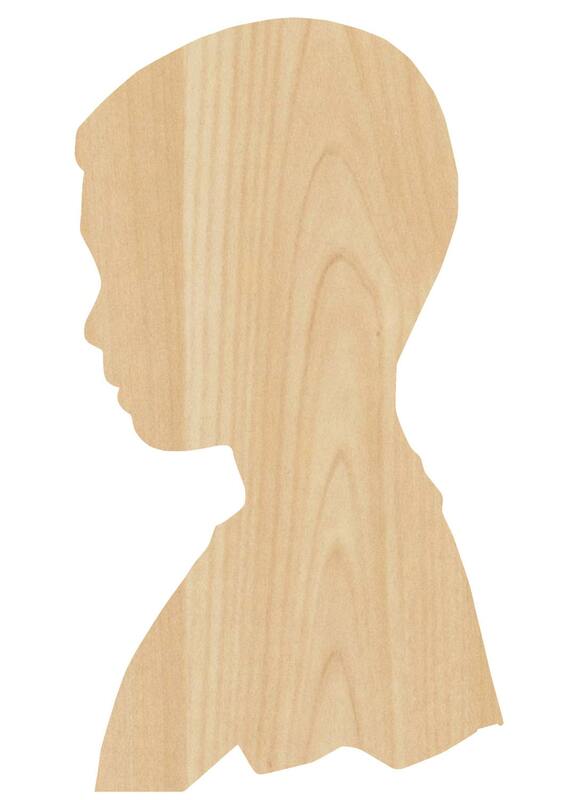 This listing is for FAST FREE SHIPPING of 10" to 30" unfinished, unpainted laser wood cut Silhouette...We ESTIMATE your purchase from final drawing approval to door in 7 business days or less (Shipping Policy #4) for all items delivered within the continental US. 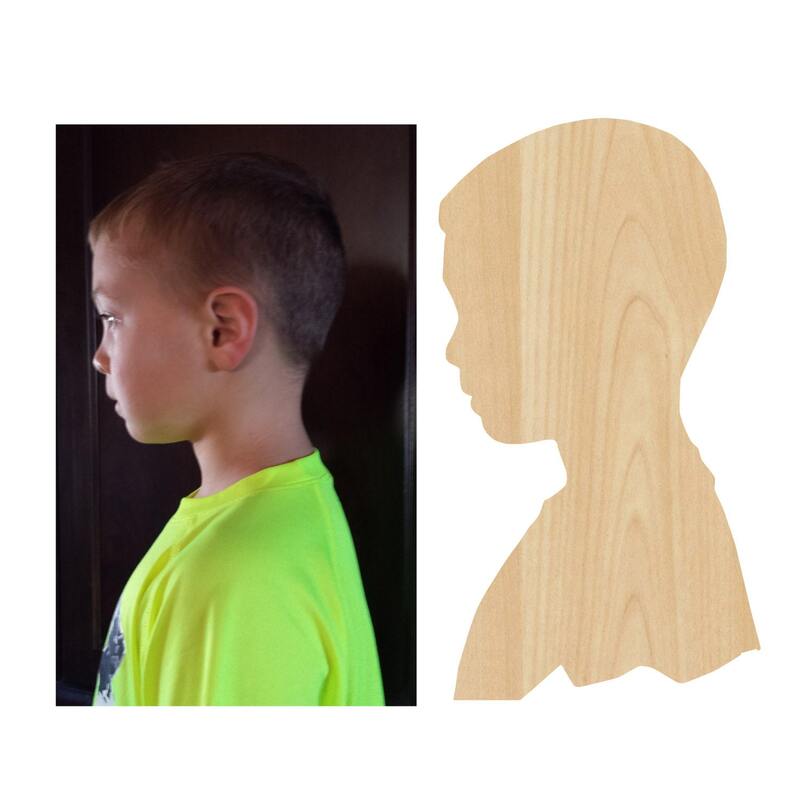 (1) The size is determined on the silhouette's longest points top to bottom (portrait orientation as shown). 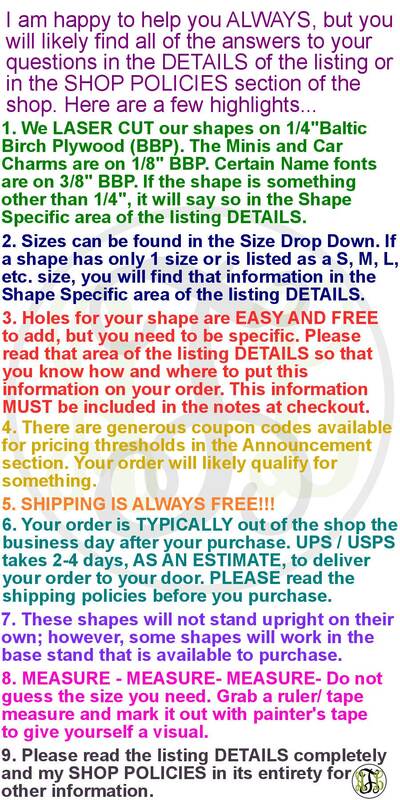 The width will vary.